Sharing your home with a cat is a hugely rewarding experience, but it comes with its fair share of responsibilities as well. 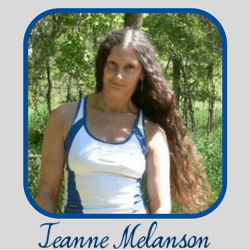 Besides feeding and loving your pet, you will also have to cater to her toilet needs. Handling kitty litter box-related matters can be complicated, but the right approach makes all the difference in the world. 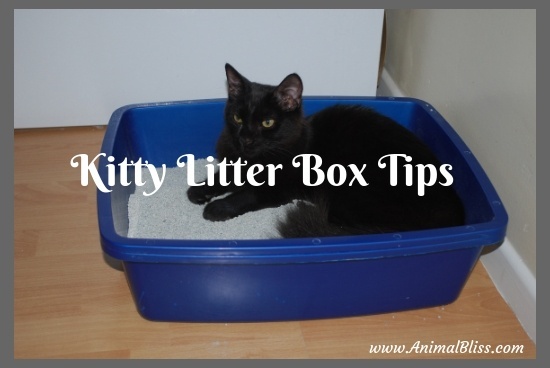 Following are a few kitty litter box tips you should have known earlier. Don’t be fooled into believing that the litter box selection at your local supermarket is everything the market has to offer. Traditional containers come in a variety of shapes and sizes to cater to the desires and sensibilities of even the most spoiled and pretentious kitties. In addition to this, enhanced models exist as well. One such option is the self-cleaning litter box. This variety has a system that flushes away waste, much like your own toilet does. 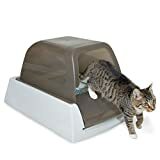 Covered litter boxes exist as well, and their advantages include minimizing digging debris, as well as containing smells. However, some cats might not prefer such containers, in which case you are better off sticking to traditional trays. The essential rule of the paw to follow here is to update the box as your cat grows both in size and in age. When you adopt a kitten, you will need to purchase something small enough so that she can easily get in and out of it. The litter box will need to be replaced every couple of months or so until the feline is fully grown. Over time, monitor its comfort levels and renew accordingly. 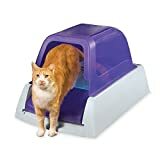 There are plenty of pet owners who will tell you that the best place for the litter box is somewhere secluded and separate from the living area of the home, to keep unpleasant odors at bay. 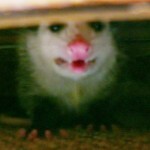 However, while this might be convenient for you, think about how big of a nuisance it can become for your little buddy. Cats are animals that greatly value privacy, so keeping the litter box slightly hidden is indeed a good idea. Still, you should achieve this while still making it accessible, unless you want to find unwanted surprises on the carpet or the bed. 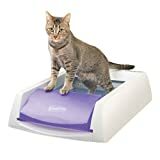 What is more, keeping your kitty potty stored away might cause you to forget about cleaning it, which will upset your pussycat even more. 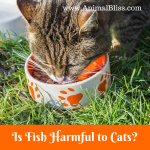 Having one feline around is easier, as there is just one pet to cater to. But what should you do when you have multiple furry friends in your life? According to the Humane Society of the United States, each cat in the home should have its own litter box. On top of that, you should also keep an extra one around in case things get hectic. It’s unrealistic to expect your cats to want to share their toilet with one another. While some won’t have a problem with it, others will. It all depends on their individual dispositions and how much they value privacy. Nevertheless, when it comes to doing their business, most kitties will prefer a clean and personal space. Symptoms of Toxic Exposure in Cats – What are the Signs? Just like in the case of the litter box variety, the type of litter, a cat, feels comfortable with is a matter of personal preference. Some kitties enjoy clay litter, while others favor the non-clumping kind. 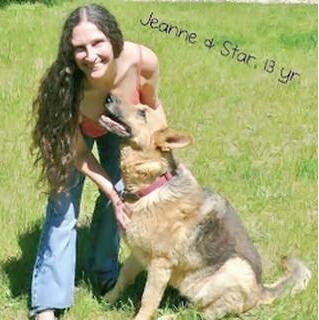 It is essential for the excretory health of your pet that you analyze its reaction to the several alternatives available on the market and choose the product that they appreciate most. 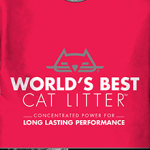 One thing that is universal across the board regardless of the brand and type of litter your cat approves of is the fact that it should always be neutral and fragrance-free. While lavender or ocean breeze-scented varieties will definitely appease you, this addon can upset the feline and force it to take its business elsewhere, namely on the floor or furniture. Another thing that your kitty values besides its privacy is hygiene. Have you ever noticed that your adorable furry friend spends half the day washing and grooming herself? 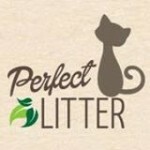 If you have, then you will understand why the litter box needs to be as clean as possible. Scoop out the poop daily and replace its entire contents according to the instructions on the bag. Generally, clay litter should be discarded and substituted twice a week, while non-clumping varieties require a bi-monthly refresh. 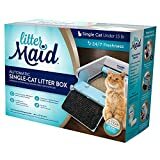 Make sure to wash the container thoroughly after putting the new litter in and buy a new box once a year. In this way, your cat will not only feel clean but also cared for and understood. When your cat has a litter box she feels comfortable with, she will feel all the more loved and safe in your home. For this reason, continually cleaning and updating her potty should be one of your main concerns. 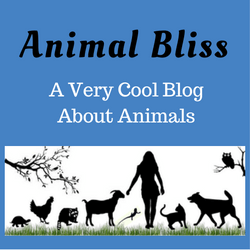 Don’t be afraid to experiment with various products, and always monitor your pet to see how she responds. 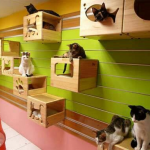 Slowly, but surely, you will create the perfect environment for your furry pal. 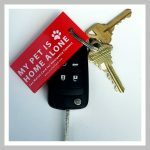 Guest Writer: Sybella Montgomery is a proud pet blogger and the editor of PetToysPro. What’s in your kitty litter box?